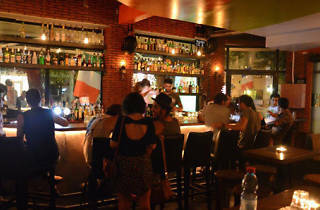 Boasting an impressive gallery of wall art, this chill bar is smack dab in the middle of Florentin. 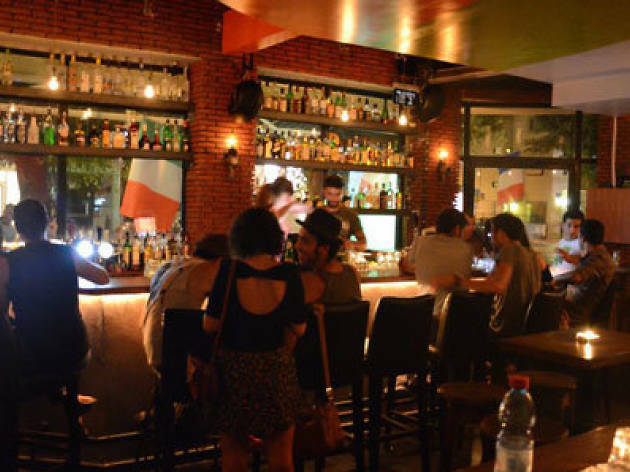 Jackson Bar is located right in the heart of the hipster-y Florentin neighborhood of Tel Aviv. This lively and energetic bar has cool vibes, most likely due to its graffiti themed decor. The walls are covered floor to ceiling with impressive displays of street art, so if your conversation is lacking, the artwork can also serve as a great conversation piece. Apart from the wall art, Jackson Bar prides itself on providing the best musical selection possible, with top-of-the-line DJs lined up. At Jackson Bar, all varieties of genres of music are covered, so everyone is sure to be pleased with the musical selection. If you're looking for a chill place to grab a drink, see some great art, and hear some stellar music, look no further than Florentin's Jackson Bar.